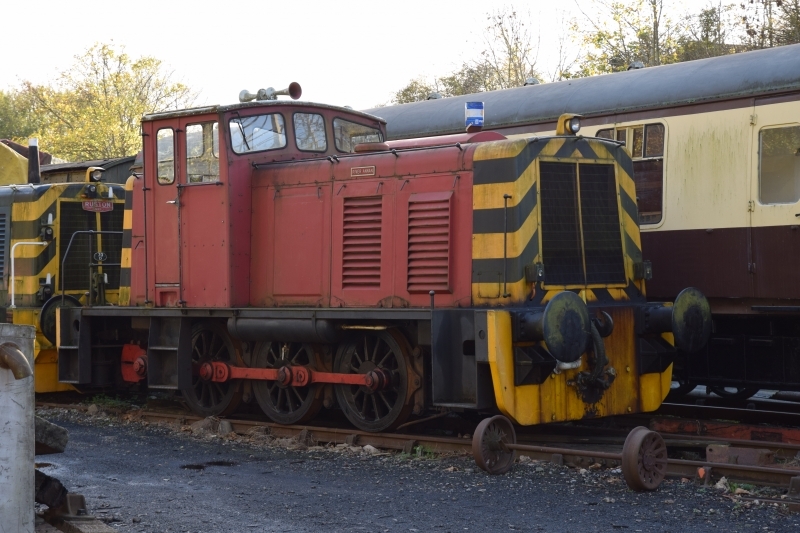 Preserved Ruston & Hornsby 0-6-0 diesel hydraulic shunter No.466618 of 1961, AVR No.429, at Bitton station, during the Avon Valley Railway Autumn Gala, 4 November 2017. The engine is a 275 hp Paxman 6RPHL. This loco is identical to the BR Class "07".